We constantly work towards achieving perfection in vinyl sound reproduction, utilising only the finest materials and up to the minute technologies on our products. 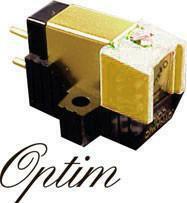 The Garrott Optim is the fruition of the "dynamic coil" principal pioneered by Garrott Brothers. 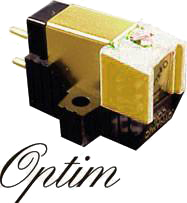 This design allows sonic agility, focus and trackability previously only found in the best moving coil designs.This new version of the cartridge is highly tuned and optimised for the amazing FGS diamond that is only otherwise found in the very best moving coils designs.The Garrott Optim FGS is the latest and best illustration of the merits of the Garrott family of Dynamic Coil cartridges. A Fritz Geiger Signature diamond stylus gives a refined yet incredibly detailed reproduction. In order to understand how the Garrott P-77 gives such unique sound quality you need to know something of its special design features. 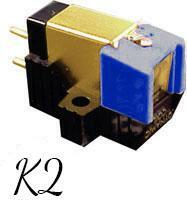 Until now, it has been generally considered impossible to harmoniously combine the best features of the 3 major types of stereo cartridge design - that is, moving magnet (MM), moving coil (MC), and variable reluctance (Decca type). The Garrott P-77 has achieved the impossible! The second of the Garrott cartridges has an elliptical stylus, which gives improved contact with the groove walls compared to a conical shape! This is a very good step up from the common types of cartridge that many turntables were fitted with in the past, many of which were produced by Audio Technica or Shure. It is compatible with most turntable/arm combos of the "detachable headshell" or one-piece tubular type and will perform well with the usual MM (moving magnet) phono input on most amplifiers.